Homeowners can fall in love every day with the beauty and allure of this spring time flower. The classic vibrant red, green, and white undertones never fail to create an artistic impression that really catches the eyes in rapt attention. 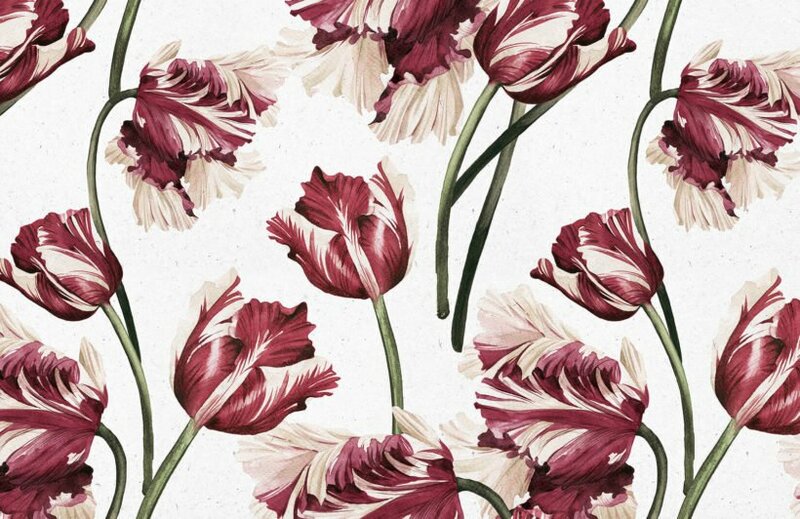 The Red Tulip Wallpaper literally stands out in a room due to its lively and extra-large portrayal of red tulips raining from the sky. 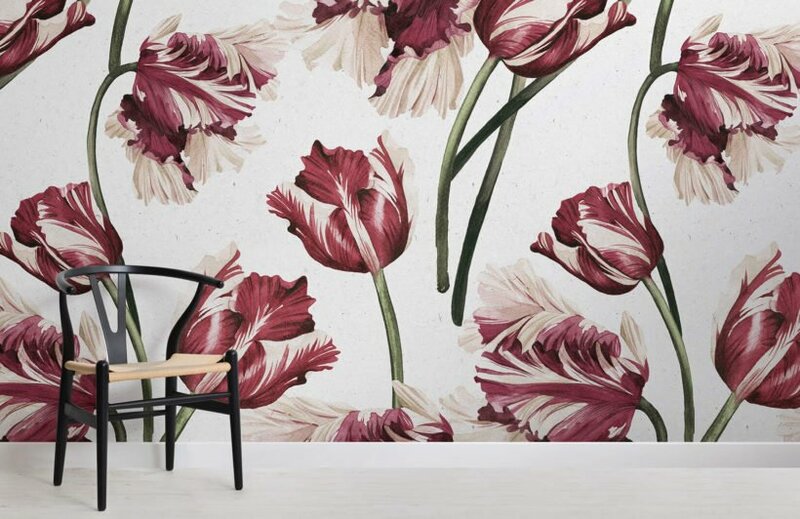 Anyone who gazes at the wallpaper can be spellbound by the sharp contrasts of colors. The predominantly vivid red jumps out of the whole mural because of the lightness of the green and white colors. 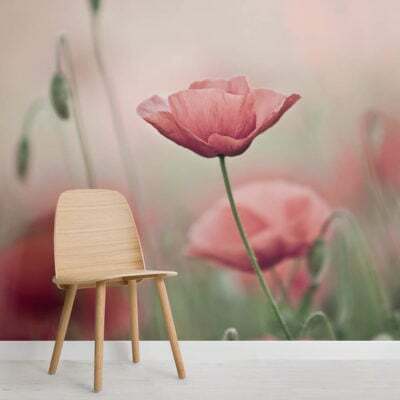 Large and bare rooms that can use color and substance are easily transformed by the oversized beauty of this wallpaper. The color combination and size of the flowers will have no trouble wiping out dreariness and boredom away.